As demand for healthcare services continues to grow, the site at which these services are performed is experiencing a simultaneous transformation from the inpatient (e.g., hospital) setting to the outpatient setting. This transformation is being driven by factors such as: (1) technological advancements; (2) an increasingly consumer-driven and convenience-driven healthcare delivery environment; (3) pressure from payors; (4) patient demand; and (5) the entrance and diversification of new and different outpatient enterprises. One such example of a growing subset of outpatient enterprises includes urgent care centers (UCCs) and other retail clinics. UCCs have become incredibly important healthcare resources for people across the world, and with approximately two new walk-in clinics opening up every single day; it is estimated that there are 8,154 UCCs as of 2018. Compared to a hospital emergency department (ED), UCCs offer some advantages, e.g., shorter wait times and lower costs of care, which may make UCCs a convenient alternative for those patients who do not need ED services. For hospital EDs, this may be a blessing, as they are often overwhelmed by non-emergency patients who have limited options for access to healthcare services. While the services offered by UCCs and retail clinics may overlap, the two facilities are typically differentiated by the level and scope of care provided, as well as their location and ownership structure. Urgent care may be characterized as healthcare that is delivered to treat an acute illness on a walk-in basis, while retail clinics, which also offer walk-in services, may be characterized as providing healthcare services for the treatment of non-acute illnesses and conditions. UCCs can be affiliated with a larger hospital or healthcare system, or operated as an independent freestanding facility, and are influenced by certain market forces and value drivers. These unique value drivers impact the typical valuation approaches, methods, and techniques that are often utilized in determining the value of UCCs in the current healthcare delivery system. Performing both administrative and medical activities in an ethical manner. Submitting an accreditation survey every three years that is completed through documentation, on site observations, and/or interviews. While the value drivers identified for UCCs are similar to that of other healthcare outpatient enterprises, there are several specific dynamics related to UCCs and other freestanding outpatient enterprises that should be taken into consideration during the appraisal process. Non-life threatening illnesses: The UCC is the prime site of service for patients who are not sure whether they have a cold, the flu, or some scary-sounding self-diagnosis. UCCs typically have licensed family care physicians or nurse practitioners on site and they can provide the similar quality treatment one may find at a traditional physician’s office. Minor physical injuries: UCCs are ideal for any injury that is not life-threatening. This may include minor burns, lacerations, sprains, or small fractures. Vaccinations: This includes seasonal flu vaccines to region-specific vaccines for those planning an international trip. School and sports physicals: Most UCCs and other walk in clinics allow patients to schedule these appointments in advance, and there are plenty of family practitioners who can provide physical fitness exams for children and adults. STD testing: UCCs may include a laboratory and can accommodate the testing for sexually transmitted diseases (STDs) or sexually transmitted infections (STIs). In addition to the added revenue opportunities created by expanding the scope of services, a UCC may be able to create value through economies of scale. As more revenue is produced by the additional services rendered, only the variable portion of each expense would increase, while the fixed portion remains constant, thereby increasing the incremental benefit generated by each additional service. Note that this incremental benefit would only increase up to the point of capacity, where additional capital costs would reduce the benefit generated by the additional services. Patient convenience and visibility are important factors to the success of a UCC; therefore, its location is vital. Favorable locations include areas where its patient base has the most access, e.g., near home, the office, and schools. Within these areas, UCCs are often in freestanding buildings, but are also located in shopping malls, medical office buildings, and other mixed-use buildings. Capacity is another key element that impacts the value attributable to UCCs. One measure of capacity for UCCs is the amount of physical space utilized in the provision of services. For example, the number of exam rooms available in a UCC, as well as average turnover rate, can be used as measures of capacity. These metrics can be compared to normative industry benchmark survey data related to comparable enterprises and UCCs. UCCs have, on average, seven exam/treatment rooms. The typical payor mix in 2016 for UCCs, as reported by the UCAOA 2017 Benchmarking Survey, is set forth in Table 1, below. Most states do not require a license for UCCs. However, as UCCs become more popular, states may impose regulations on UCCs in order to set a minimum standard of care. Human resources/personnel costs (wages and benefits) associated with the staff required to operate the UCC typically represents the largest operating expense incurred by UCCs. Physician and non-physician provider compensation comprise the majority of UCCs’ personnel expense. Whether the management of a UCC is performed by a third party. In addition to the types of operating expenses incurred by a UCC, the amount of fixed and variable expense should be considered when performing an appraisal, as each type of expense is projected differently. Similar to trends impacting other healthcare entities, UCCs may benefit from increased utilization of administrative related technology, e.g., electronic health record (EHR) systems, which can reduce the economic operating costs associated with the provision of administrative tasks and duties. Note that the underlying trend of operating expenses for most healthcare enterprises is rising, due to increases in medical care input costs, which are exerting downward pressure on the profit margins of these facilities. The UCC industry (and the healthcare industry as a whole) has been, and is forecasted to continue to, experience significant consolidation, through mergers and acquisition by both hospitals and corporations. This trend toward consolidation decreases the competition and rivalry among UCCs and has also resulted in an increase in the number of joint ventures between UCCs and hospitals. Affiliation and integration among smaller UCCs may allow these providers to obtain greater negotiating leverage and the potential to gain access to better managed care and commercial contracts, enhancing their profitability and increasing their indication of value. The typical ownership structure in 2016 for UCCs is set forth in Table 2. The historical operations of the UCC in comparison to the industry benchmarks. The value of UCCs is significantly tied to the greater U.S. healthcare industry, rapidly evolving in the modern era of healthcare reform. The ability of UCCs to operate in a continuum of care in the new value-based purchasing paradigm may determine their viability as an ongoing enterprise in the future. The number of healthcare services provided at UCCs continues to increase, due to rapidly evolving technological advances that allow many services and procedures to be performed in a safe, high quality, and, often, less costly environment than at many hospital-based EDs and physician offices. At the same time, the transactional environment of UCCs is also changing, as they are increasingly being acquired by hospitals and health systems. Further, in addition to the increased hospital employment of physicians, the overall healthcare transactional market is likely to continue experiencing increased transactional activity because of healthcare reform initiatives, as physician practices, and other outpatient enterprises, participate in such integration activities as accountable care organizations, medical homes, and co-management arrangements. UCCs are well positioned to be a major player in the future model of healthcare delivery as these initiatives continue to develop. This article was previously published in Health Capital Topics, September 29, 2018, and is reprinted here with permission from Health Capital Consultants. “2017 Benchmarking Report Summary” Urgent Care Association, https://c.ymcdn.com/sites/ucaoa.site-ym.com/resource/resmgr/benchmarking/2017_benchmarking/UCAOA-BenchmarkSurvey17_v4.pdf (Accessed 8/17/18). “Your Visit” The Urgent Care Association of America Foundation, http://urgentcarecenter.org/yourvisit.html (Accessed 12/8/2014). “The Urgent-Care Boom” by Dan Goldberg, Capital New York, October 29, 2014, http://www.capitalnewyork.com/article/city-hall/2014/10/8555117/urgent-care-boom (Accessed 12/9/2014). “ER, Urgent Care, or Retail Clinics: What’s the Difference?” The Alliance, http://www.alliancehealthcoop.com/ERC/pdfs/ERUrgent_TA53-1004.pdf (Accessed 10/19/12). “Certified Urgent Care Criteria” Urgent Care Association of America” http://www.ucaoa.org/recognition_certification_criteria.php#eligibility (Accessed 10/19/12). “Center Accreditation” American Academy of Urgent Care Medicine, 2012, http://aaucm.org/Professionals/Accreditation/default.aspx (Accessed 10/19/12). “Accreditation Handbook of Urgent Care Centers” American Academy of Urgent Care Medicine: Orlando, FL, http://aaucm.org/Resources/370/FileRepository/Accreditation%20Handbook%20of%20Urgent%20Care%20Centers.pdf (Accessed 10/19/12). “2016 Benchmarking Report Summary” Urgent Care Association, https://cdn.ymaws.com/www.ucaoa.org/resource/resmgr/benchmarking/2016BenchmarkReport.pdf (Accessed 8/17/18). 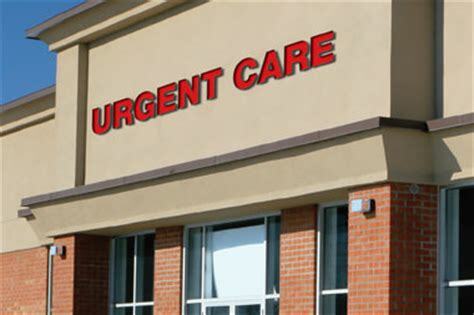 “Top Four Legal Issues to Consider When Opening an Urgent Care Center” by Matthew Burnstein et al., Urgent Care News, October 16, 2014, http://urgentcarenews.com/Submitted/four_issues.php (Accessed 12/11/14). “IBISWorld Industry Report 62149: Emergency and Other Outpatient Care Centers in the U.S.” By Jocelyn Phillips, IBISWorld, May 2015, p. 7–8. Jessica Bailey-Wheaton is vice president and General Counsel for Heath Capital Consultants, where she conducts project management and consulting services related to the impact of both federal and state regulations on healthcare exempt organization transactions, and provides research services necessary to support certified opinions of value related to the fair market value and commercial reasonableness of transactions related to healthcare enterprises, assets, and services. Ms. Bailey-Wheaton can be contacted at jbailey@healthcapital.com.